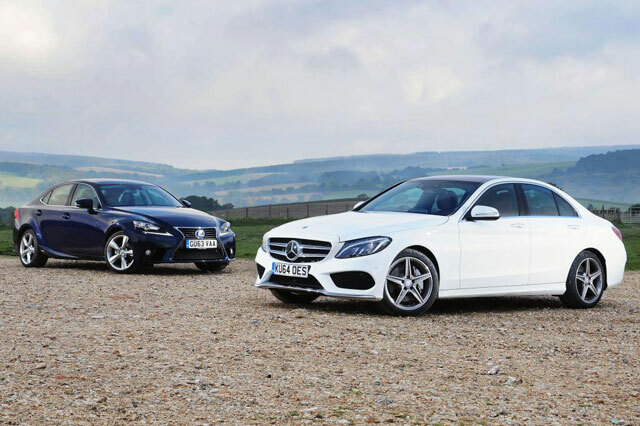 In the battle of the hybrid saloons, the IS 300h takes a narrow win. Its hybrid powertrain feels better resolved than the Mercedes’, as it relies on the electric motor more frequently to save fuel, is more refined and switches between drive modes more smoothly. The Lexus isn’t as fast as its rival, but it’s more relaxing to drive, and while it trails on interior quality, if you go for a Premier model, you won’t be left wanting for kit. The 2.0L Dynamic Force hybrid impresses.